This stunning male Montagu's Harrier was seen today on Goonhilly Downs on the south side of the Croft Pasco plantation. The best views were obtained from the road. 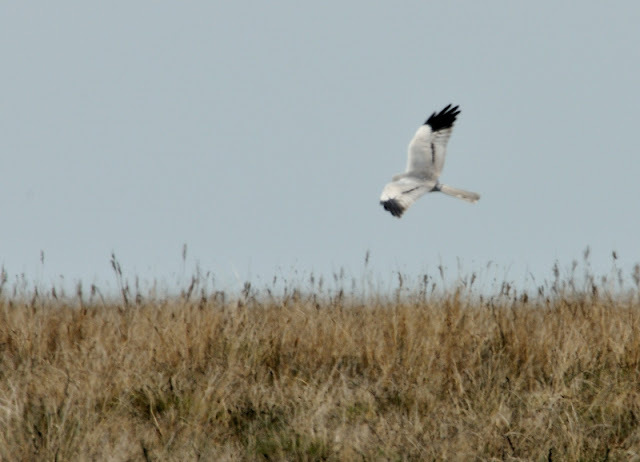 Sadly I just missed the ultimate views at just 20 yards when it settled in front of John Chapple's cam corder. 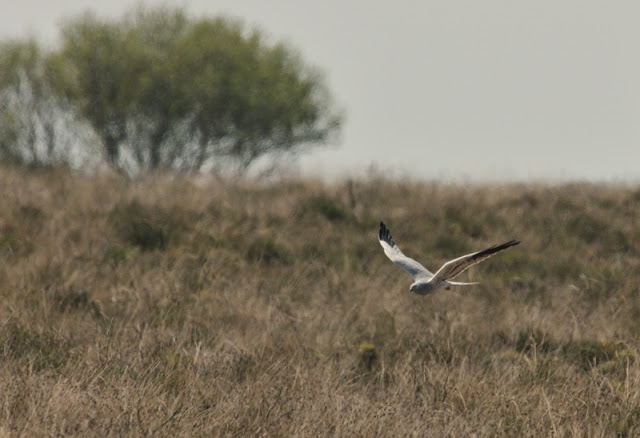 These shots were taken at about 75 yards, midday in strong heat haze, hence the slight blur. 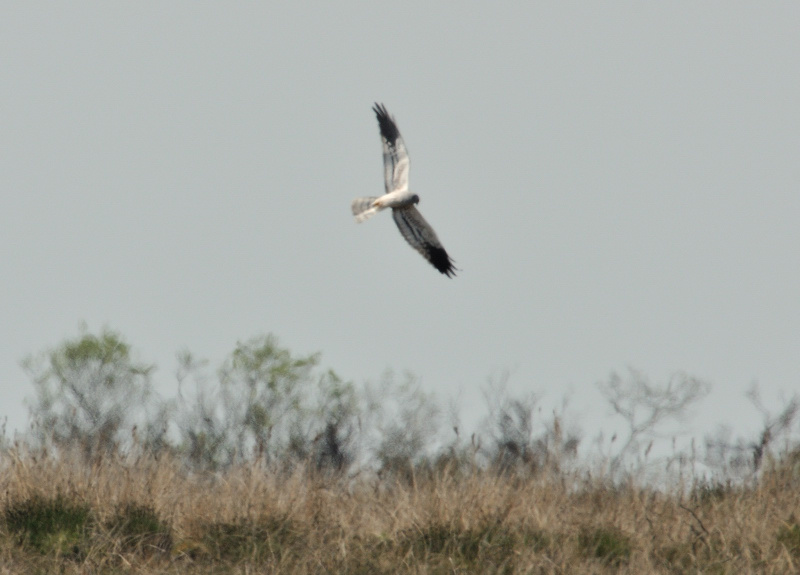 Montagu's Harrier is the rarest of all British breeding raptors. The species once bred in north Cornwall in the early 70's but is now long since extinct as a breeder. Even as a migrant, it is scarce. This is also the first male that I have seen in Cornwall. What a species, I would love to see one. Cracking shots Steve we must have missed it by aan hour or so, teach us to stick around.